Additional Info: I was born in 1948. Graduated from Westminster Choir College. Graduate work at Indiana University. 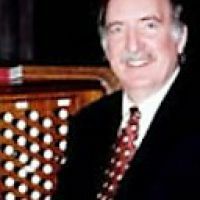 Studied organ performance with Theodore Herzel; George Markey; Donald McDonald; Oswald Ragatz. I am now retired but served for over 35 years as Minister of Music at the Edenton Street UMC in downtown Raleigh which had a Music Ministry of over 450 participants. I designed the Letourneau 5 Manual Organ for the church. I have played numerous recitals over the years!